Whether the Oslo Accords—the 25-year of their signing that was marked on Sept. 13—were dead-on-arrival or were asphyxiated by an Arab refusal to negotiate, or to abide by them or even to have accepted them over a period of time, remains immaterial…writes Yisrael Medad/JNS. We view the permanent solution in the framework of State of Israel which will include most of the area of the Land of Israel as it was under the rule of the British Mandate, and alongside it a Palestinian entity. … We would like this to be an entity which is less than a state. This, of course, was Rabin’s own public acknowledgement that he had been taken, underhandedly, by Shimon Peres and his crew. Peres self-denied what was obvious to all: The PLO could never accept that. Moreover, they would never officially grant that same equal right to the Jews. Abbas has been quoted multiple times saying “the Palestinians would never recognize Israel as a Jewish state.” Israel, he declared, is still a “colonial project.” All they were and are interested is their own “rights,” not those of Israel. in the late Seventies, Secretary of State Cyrus Vance asked me to persuade Arafat to accept Resolution 242 with a reservation (accepted by the U.S.) to be added by the PLO which would insist on the national rights of the Palestinian people as well as Palestinian self-determination. In other words, what seemed to the oriented Columbia University professor as a cardinal element of a just demand by the Arabs-called-Palestinians, in addition to a right of self-determination, for a coming to terms with Israel and Zionism—and correcting, as it were, the United Nation’s Resolution 242, that is, the insistence on the national rights of the Palestinian people—is still avoided and even pooh-poohed by them when Israel makes the same basic request. [U.N. resolutions] 242 and 338 … do not have one word in them about the Palestinians, their rights or aspirations. nothing should be done which might prejudice the civil and religious rights of existing non-Jewish communities in Palestine. The fundamental fact that everyone knew was that there were Jews who would be enabled by the world to reconstitute their historic national home. There was, indeed, another group who had rights in British Mandate Palestine, an entity carved out of the territory of historic Palestine. They were the non-Jews—of all religions, of all ethnicity, of all nationality. However, the political right to establish an eventual state was awarded solely to the Jews. My search of the Oslo Accords reveals no finds of “state” or “homeland.” The agreement’s aim was to have an elected “Council,” which was called “the Palestinian Interim Self-governing Authority.” For sure, there were to be territorial withdrawals and military redeployments, as well as transfers of power. What is devastating, to my mind, is in its Article IV dealing with the issue of jurisdiction. Jurisdiction of the Council will cover West Bank and Gaza Strip territory. … The two sides view the West Bank and the Gaza Strip as a single territorial unit, whose integrity will be preserved during the interim period. Whether or not following the interim period it will not be a single unit is immaterial to the failure of those who foisted the Oslo Accords on Israel. The impression is that all of the West Bank and Gaza could be extracted from Israel’s administration. But 25 years later, the reality is that this did not happen. Jewish residency locations increased. The Jewish population has dramatically increased. The Arab population figures are indicating an increased relative drop in its percentage of the overall population. While terror and incitement to violence is continuing, they have not affected the positive growth development of a Jewish entity versus an Arab one in that territory. Agriculture and industry of the Jewish population in Judea and Samaria has become quite impressive. There is now an Israeli university in Ariel (soon to open a medical school). There are attempts at coexistence outreaches. Has today’s Israel overcome the trap that was the document called the Oslo Accords? Not yet. But the future of the next 25 years, it seems, will be much better than that of the previous 25 years. 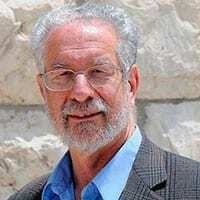 Yisrael Medad is an American-born Israeli journalist and author.